As I noted in my last update I was expecting good fishing as a result of the water we got on Monday night and my predictions came through. We actually have 9 fish landed since. Conditions on Tuesday were excellent. 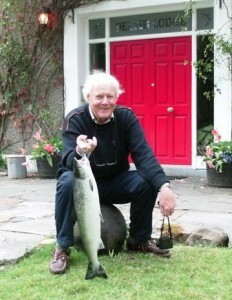 Angus Sutherland had a lovely sea liced fish of approx. 9lbs from the Deadmans on a Collie Dog. 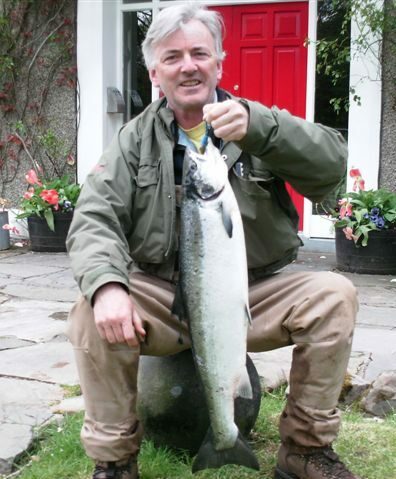 Michael Righton had a fish of 10lbs12ozs from the Rock pool on a Cascade. We had three fish on Wednesday. William Beattie had 2 in the morning, one of 6lbs9ozs from the Whin and one of 12lbs approx from the Turn Pool. Both fish were taken on a Willie Gunn. 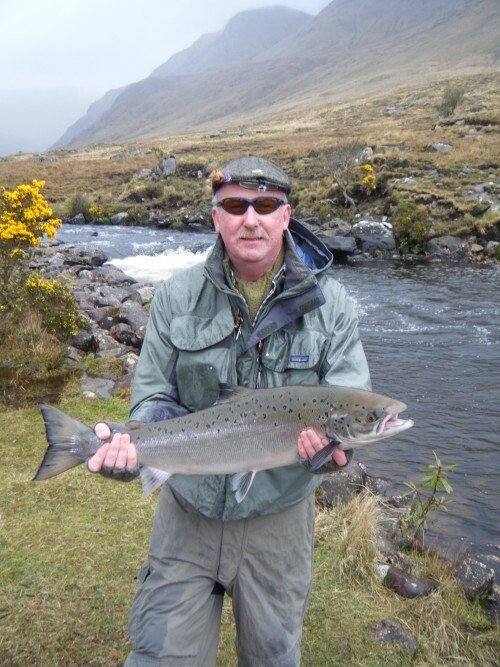 Angus Sutherland had another fish of approx. 5lbs off Fin on a Silver Wilkinson. We had 3 fish yesterday. Bob Hadden had one of 8lbs12ozs from Cooleens on a John Anthony Shrimp and Mike Shortt had one of 6lbs7ozs in the Holly pool on a Willie Gunn tube. Terry Johnson had one of 6lbs14ozs from Heneghans on a Shrimp fly tube. It must be said that both Bob and Terry don’t catch a huge number of fish so needless to say everyone was delighted. 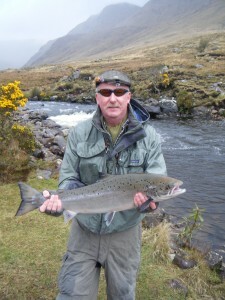 Dominic Cox had a fish this morning of 8lbs approx on a Willie Gunn tube off Doolough. With the water holding up nicely at 30, I would expect the recent catches to continue over the next couple of days.